Nitrates may be the next protein powder, in the sense that athletes are taking them down in hopes of boosting their workout results. And for good reason: The natural compound has been shown to increase endurance and lower blood pressure-and help you exercise longer. How? According to a recent study in The FASEB Journal, it thins out your blood so it can flow more easily to hard working muscles. Athletes who drank beet juice experienced a 38 percent increase in blood flow to muscles, particularly "fast twitch" muscles that affect bursts of speed and strength, according to a study conducted at Kansas State University. Another study published in the Journal of the Academy of Nutrition and Dietetics found that runners who ate baked beets before a 5k race ran five percent faster. But you don't have to take another pill to get the effect. 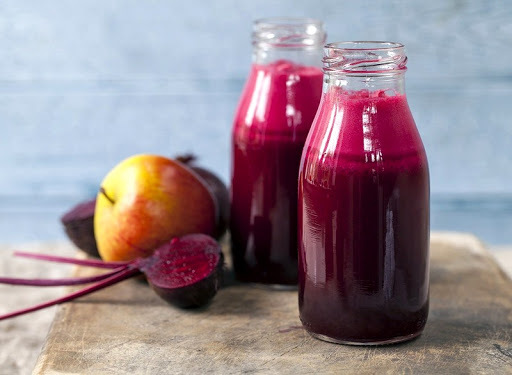 In fact, beets are super-rich in nitrates, and concentrated beet juice shots could be the simplest way to get your dose. The Kansas State University study found that tossing back a 2.4 oz shot two hours before a sweat session can reap the benefits.